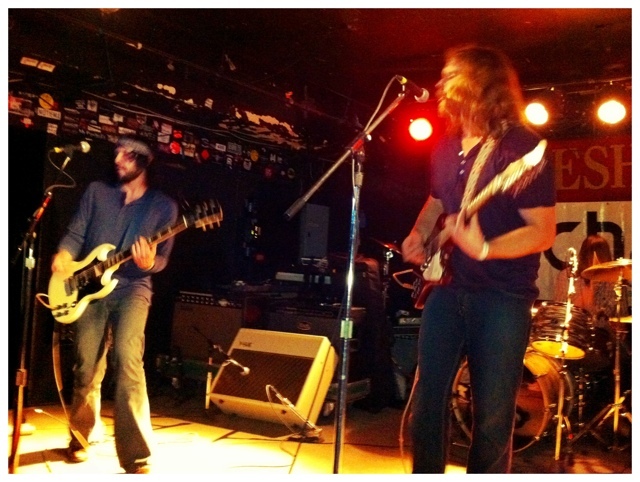 I changed my plans for the night at the last minute and decided to check out The Sheepdogs’ early set at the Horseshoe. I went in knowing only that they are Canadian and are part of a contest to be on the cover of Rolling Stone. This does not hold that cachet it once did, but it’s a still pretty big deal. I now also know that The Sheepdogs are, more specifically, from Saskatoon and that they are very much styled in the vein of 1970s classic rock, both musically and sartorially. I consider this a selling point; I grew up in the 90s, but they heydays of classic rock are still going strong in small-town Newfoundland. I dug their set at the sizeable crowd in the bar seemed to agree. I hope they win that contest.